Clinical depression. Bipolar disorder. Post-traumatic stress. These kinds of mental illnesses may not seem like the stuff of TV comedies — once, they might have been addressed with insensitive one-liners, if at all. 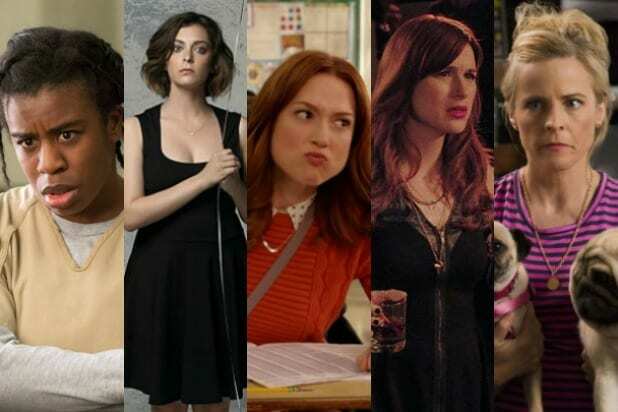 But thanks to the rise of streaming and serialized storylines, shows like Netflix’s “Orange Is the New Black” and the CW’s “Crazy Ex-Girlfriend” now have time to explore once-stigmatized problems with not just humor, but empathy. “We can see people who have mental health issues on all levels of the spectrum and understand them with their complexities without having to dumb it down,” says Dr. Paul Puri, a psychiatrist who also writes TV pilots and serves as a technical consultant on TV shows. They may use the word “crazy,” but they recognize that their characters’ struggles are much deeper. When Rachel Bloom was creating her Golden Globe-winning musical comedy “Crazy Ex-Girlfriend,” she turned to her own life. In the show, depressed New York lawyer Rebecca Bunch (Bloom) impulsively moves to West Covina, California to be with her summer camp crush Josh Chan (Vincent Rodriguez III). She says the show has drawn from “depression, anxiety, and personality disorders,” experienced by her and the show’s other writers. “I’ve also done extensive research on the subject of mental illness through reading various articles and books and talking to my personal psychiatrist about the root causes of anxiety and depression,” she said. That research is apparent in the first season of the show. But because the series is a comedy, Bloom’s character expresses her anxieties not just through panic attacks and denial, but also song-and-dance. On Netflix’s “Lady Dynamite,” star and creator Maria Bamford plays a more theatrical version of herself, a comedic actress who has bipolar disorder. Netflix’s “Unbreakable Kimmy Schmidt walks a finer line: the titular heroine (Ellie Kemper) is upbeat, colorful, and slightly naive, giving us only occasional, frightening glimpses of the trauma she faces after being held captive in a bunker for 15 years. “I think what ‘Unbreakable Kimmy Schmidt’ does well — and what most depictions of PTSD don’t do — is it portrays a character whose defining characteristic is not the fact that she struggles with PTSD,” says Jenny Jaffe, the founder of Project UROK, a non-profit organization that works to de-stigmatize mental illness. FX’s “You’re the Worst,” meanwhile, addresses misconceptions about clinical depression, by showing how not to address it. The start of the show’s second season found snarky music publicist Gretchen (Aya Cash) relapsing into depression, and her arrogant writer boyfriend Jimmy (Chris Geere) trying to get her out of her “funk” by taking her to fun places and telling her to “be happy.” He finally learns it isn’t that simple. Representatives of both shows declined to comment. The ESPN documentary does the damn-near impossible - it reminds you of the long-lost days when Simpson was a hero. 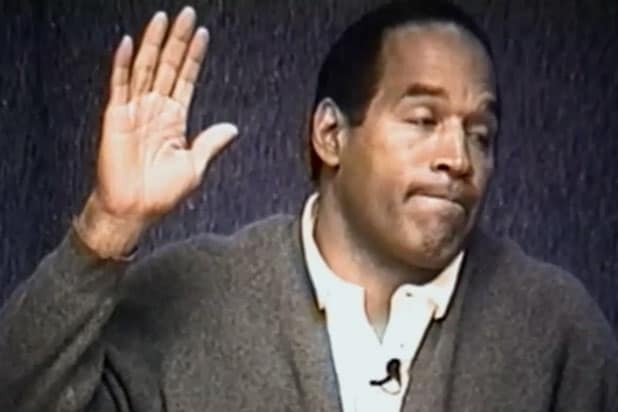 By highlighting not only his athletic achievements but also how he broke through color lines, the five-part documentary series underscores how stunning it was to see Simpson, in 1994, in the new role of accused killer. For those who only remember Simpson as a defendant, this documentary might be absolutely mind-blowing. Rich people behaving badly goes to extremes with CBS' miniseries about a family full of secrets - not the least of which is that one of them may be a mysterious serial killer responsible for at least six murders that have plagued Boston for years. The fact that it's a miniseries means "American Gothic" will be solving its myriad of mysteries. We hope. What better way to spend the summer than with a slasher-horror series set at a 1980s summer camp led by "Lost" alum Elizabeth Mitchell? From "Once Upon a Time" duo Edward Kitsis and Adam Horowitz, "Dead of Summer" follows a (doomed) group of teenagers attempting to reopen Camp Stillwater five years after its closing due to a series of suspicious deaths. "Pretty Little Liars" may be heading into its endgame this summer, but Freeform's new murder mystery series looks like it could be a worthy replacement. James Gandolfini's passion project is finally coming to fruition on HBO. The actor died after filming the pilot for "The Night Of," though discussions began soon afterwards to replace him in the central role of attorney Jack Stone. Riz Ahmed plays a Pakistani man accused of killing a girl in New York City, with John Turturro in the Gandolfini role, and Gandolfini is getting a posthumus executive producer credit, alongside writer Richard Rice and director Steve Zaillian. HBO has already gotten some of the best out of Danny McBride, and the pay-TV network is going back to its "Eastbound & Down" well to recapture the comedy magic. This time, McBride and co-star Walter Goggins compete to replace their school principal, played by Bill Murray. The summer series has comedy street cred and a promising power struggle plot line -- we'll find out next month if it proves to be more "The Foot Fist Way" or "Your Highness." "BoJack Horseman" isn't just one of the funniest animated comedies going, it's straight-up one of the funniest sitcoms around, live, drawn or otherwise. But "BoJack" is also pretty deep -- about as deep as a half-human/half-animal cartoon can be. The voice cast is as terrific as the low-rent-but-unique animation is, boasting the work of Will Arnett, Amy Sedaris, Aaron Paul, Alison Brie and Paul F. Tompkins. "BoJack" is the somewhat-hidden gem of Netflix, and be sure to watch the Christmas special annually at Yuletide! "Moulin Rouge" director Baz Luhrmann said he's been developing the idea for his first TV series, "The Get Down" for over a decade, and all signs point to it being time well-spent. Set in 1970s New York City, Luhrmann's hotly anticipated musical drama follows a rag-tag group of friends living in the South Bronx as turmoil in the city leads to the birth to hip-hop, punk and disco.